WFP Ethiopia Job Vacancies 2019-2020: WFP Ethiopia has recently publish an advertisement notification for IT Solutions Associate jobs opening for March 2019. WFP Ethiopia would like to invite qualified candidates for the following position. 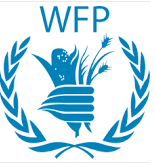 WFP Ethiopia Job Vacancies 2019-2020: WFP Ethiopia has recently publish an advertisement notification for Consultant – Head of Programme jobs opening for March 2019. Qualification:- Post Graduate or Advanced University degree in International Affairs, Economics, Health, Agriculture, Environmental Science, Social Sciences or other field relevant to international development assistance with five years of relevant experience. Language:- Fluency (level C) in English language. Intermediate knowledge (level B) of a second official UN language: Arabic, Chinese, French, Russian, Spanish, and/or WFP’s working language, Portuguese. WFP Ethiopia Job Vacancies 2019-2020: WFP Ethiopia has recently publish an advertisement notification for Senior Logistics Associate (Funds Management) jobs opening for Feb. 2019. 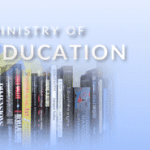 Education: Completion of secondary school education. A post-secondary certificate in logistics, finance or related functional area. Experience: Seven or more years of relevant progressively responsible experience in Logistics, Finance or related area. WFP Ethiopia Job Vacancies 2019-2020: WFP Ethiopia has recently publish an advertisement notification for Monitoring Assistant jobs opening for Feb. 2019. Experience: At least three years relevant working experience of working in Saving and Credit Cooperatives or MFIs is a must, either from a field perspective or from a more marketing or operational management level perspective. Language: Fluency in both oral and written communication in English and local language. WFP Ethiopia Job Vacancies 2019-2020: WFP Ethiopia has recently publish an advertisement notification for IT Operations Officer & Programme Associate & Budget & Programming Assistant jobs opening for Feb. 2019. Education & Experience: University Degree with 3 years of professional experience in related field, preferably in Computer Science, Information Technology, OR a Master degree with at least 1 year of professional experience in related field. Trained on Microsoft Windows Server 2016 Operating System Platform; Cisco Certified (CCNA), Trained and Certified on Wireless Network infrastructure. Experience: At least six or more years of progressively responsible work experience in the related business stream with experience in programmes activities. 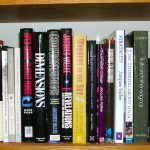 Language: Fluency in both oral and written communication in English. Knowledge of the local language is an added advantage. (More Qualification Details Please Check the Advt.). WFP Ethiopia Job Vacancies 2019-2020: WFP Ethiopia has recently publish an advertisement notification for Monitoring Assistant & Driver jobs opening for January 2019. Experience: Four or more years of progressively responsible work experience in the related business stream with experience in monitoring & evaluation and data management in Pastoralist area. • Knowledge of work routines and methods in order to complete processes under minimal supervision. Proven ability to communicate effectively in English and local language both orally and in writing.